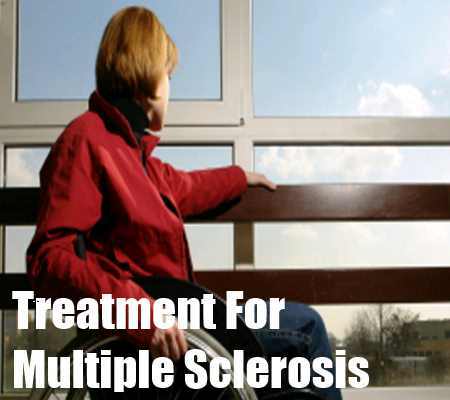 A wide variety of drugs and complementary treatments are available to people with MS. There's no cure for multiple sclerosis (MS). However, being diagnosed with MS is not a death sentence — in fact, far from it. In addition to several types of MS drug treatments, numerous alternative therapies are available that can treat the disease and help people manage their MS symptoms. Several prescription medications to treat MS and its symptoms have been approved. These include so-called disease-modifying drugs, corticosteroids, and other drugs that target specific symptoms and health problems related to MS.
Disease-modifying medications can slow the progression of MS in some people and are effective in lowering the frequency and severity of attacks or relapses. They also reduce lesions seen on MRI scans. Additionally, corticosteroids and plasmapheresis (plasma exchange) treatments can help people manage acute attacks of MS. Many people with MS turn to natural remedies — also called complementary and alternative medicine, or CAM therapies — to manage symptoms. However, most natural treatments for multiple sclerosis haven't been thoroughly studied by medical researchers. But because so many people with MS are using these approaches, the American Academy of Neurology (AAN) published guidelines for the use of alternative medicine in MS in a 2014 issue of its journal, Neurology. In general, the AAN found that while some of these approaches seemed to be somewhat helpful, more clinical data is needed before they can be deemed truly safe and effective. The link between MS and diet isn't fully understood, but a well-balanced eating plan can certainly help with overall health. A 2014 study published in Neurology found that a plant-based, low-fat diet was safe and easy to follow for MS patients, but more research is needed to determine whether it slows the progression of MS.
And a 2014 study in the journal JAMA Neurology suggests that vitamin D may slow the progression of MS and reduce the severity of symptoms. However, additional research is needed. Both vitamin D and calcium help build strong bones, which are important because many people with MS are at risk for (or already have) the bone-thinning disease osteoporosis. Your risk is higher if you're less mobile and less physically active, and if you take steroids, which can thin bones. You can get calcium from dairy products, eggs, and green leafy vegetables such as spinach or in an over-the-counter supplement. The use of marijuana to treat MS is a controversial issue that's still undergoing long-term study. Marijuana and various cannabis products, such as pills and oral sprays, are helpful in a small percentage of people with MS for pain, spasticity, and problems with sleep. According to the AAN, Marinol (dronabinol), which is synthetic medical marijuana in pill form, may reduce spasticity and the pain it causes. Practicing yoga on a regular basis can help reduce fatigue and improve quality of life for people living with MS. If you're interested in starting a yoga regimen, avoid difficult positions, as they may worsen the pain and joint stiffness associated with MS.
Reflexology involves putting pressure manually on certain points on your feet, hands, or ears that are believed to connect to the body's organs. The evidence supporting this treatment in MS is weak, but it suggests that reflexology may help treat tingling, numbness, and other skin sensations associated with the disease. Many people with MS use massage therapy to relax, ease muscle tension, and reduce stress and depression. Although there's no hard evidence that massage can relieve MS symptoms, it's generally considered a safe therapy to pursue, especially if it makes you feel better. Acupuncture, which involves inserting very thin needles into specific points on the body, is a popular pain-relief strategy among people with MS. Some feel acupuncture also helps with muscle spasms and bladder problems, though scientific evidence has not confirmed these connections. Exercise can be helpful if you have MS. Walking and water aerobics are particularly helpful for people with MS, because these exercises are less likely to cause fatigue or heat exhaustion than a higher-impact workout. Many people with MS have cognitive problems, and gingko biloba is credited by some for its ability to improve cognitive performance. However, scientific evidence of its benefits for MS is weak. Magnetic therapy involves placing magnets on or near the skin. Some moderate evidence shows that magnetic therapy can help lessen tiredness. However, there is no evidence to support its use for other symptoms.